How to Get Free Publicity for Your Business – Infinity Marketing – The Small Business Marketing Specialists! One of our main goals here at Infinity Marketing is help small business to be able to compete with the big dogs! Â Whether that be in making marketing materials affordable, working one on one with customers or offering our blog, packed full of FREE information we are here to help! Â So for today’s blog from Adam Torren, We have some advice that will save you money and hopefully bring you in more business! Thanks and have a great weekend! -Carlos! Gaining publicity is usually a goal of every business. You could have the most revolutionary, awesome product or service, but how will you get it out there if people donâ€™t know it exists? If you want to find your customers youâ€™re going to need to start developing excellent public relations. Getting into the spotlight might seem like a daunting and expensive task. Fortunately, with some creative thinking you can indeed get free publicity for your business. Whether budget is a huge concern for you or not, these techniques for free publicity can really help you succeed. The very first means of gaining publicity is to make sure you actually exist! You should have developed both an online and offline presence that is worth sharing. Since the Internet has become the main means of communication and exposure, naturally you will need a killer website. Though it may seem harsh, if you donâ€™t have a website you and your company will probably not be taken seriously. A business website is one of the most important ways you can improve your appearance and convince other forms of publicity, like media, to take an interest. Giving your time, services or even money to charities allows you to get closer to customers and do some networking. When a prominent member of a company is heavily involved with charities it really shows your values and builds trust. Send out flyers or press releases in local media prior to a charity. Remember to not make any event all about you! Donâ€™t forget youâ€™re there to help first and foremost. Community outreach groups, networking groups and other groups can offer free publicity as well. Volunteering in community outreach programs has many similar benefits as charity work. Naturally, business networking groups are a great choice. Being an active, helpful and happy member can boost word-of-mouth recommendations. Obviously one of the best means of publicity would be your company featured in a publication, television program, or chosen to host an event. Achieving this isnâ€™t as difficult as youâ€™d think. Rather than waiting for these media venues to come to you, go to them. Ask publications if you could write as a guest columnist or just guest write an article. Contact radio or television programs and ask if they would be interested in having you on their program. When you go out of your way to introduce yourself and take initiative, you show that you are serious about your company. Most of these types of gigs lead to even more free publicity as your brand starts to get out there and shown in a positive light. There are a large number of ways you can gain free publicity for your company. The key is to choose a method, get started, and stick to it. 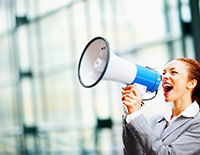 Continue to spread the word about your business through press releases to sources that may feature your company. Adam Toren is an Award Winning Author, Serial Entrepreneur, and Investor. He Co-Founded YoungEntrepreneur.com along with his brother Matthew. Adam is co-author of the newly released book:Â Small Business, Big Vision: â€œLessons on How to Dominate Your Market from Self-Made Entrepreneurs Who Did it Rightâ€ and also co-author ofKidpreneurs.